Most ride-hailing and restaurant partnerships like UberEATS were designed to deliver you food, but Lyft’s new collaboration is the other way around. The ride-hailing firm is now a reward option for Seated, a restaurant discovery app for iOS and Android that pays you for dining out. Whenever you make a reservation with Seated, you can get between $10 and $50 in Lyft credits, depending on the size of your party and your dining time. Based on a Morgan Stanley report last year, 43 percent of people who order food for delivery see it as a replacement for restaurant meals. You’d think the increasing number of people ordering food for delivery is a good thing, but that might not be the case: third-party platforms and carriers could be taking between 20 and 40 percent of the delivery revenue. This partnership aims to entice more people to dine out and to create more loyal customers. 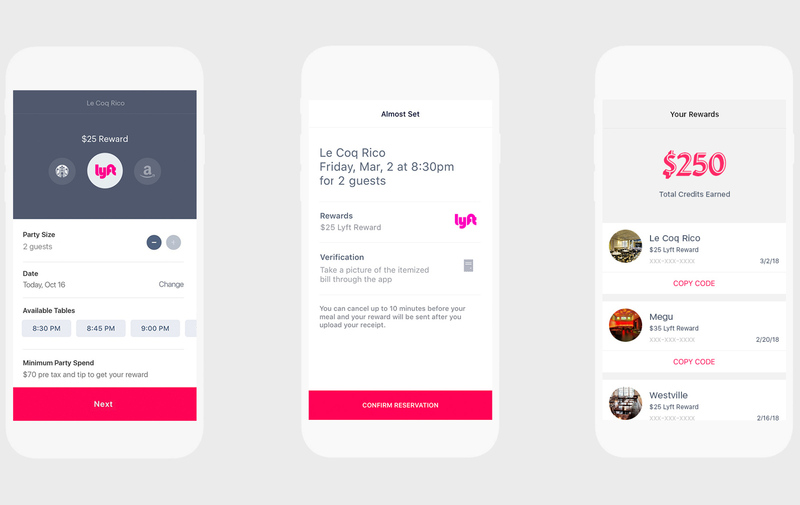 The hope is likely to create a cycle of booking meals with restaurants in the Seated app and using Lyft rewards to go there. "This partnership simplifies the dining out experience by removing its biggest roadblock – just getting there. People can now use their Lyft credits to cover any future rides, including those to and from the new restaurants they try on Seated." The partners are giving away $1 million in rewards where Seated is available: Atlanta, Austin, Boston, Chicago, Washington DC, Denver, Los Angeles, Miami, New York (including Brooklyn), Philadelphia and San Francisco. New Seated customers can also get $10 in Lyft credits by making their first reservation and using the promo code LYFTxSEATED.